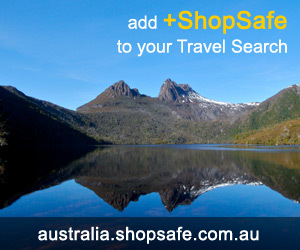 There are 7 shops in the ShopSafe USA Craft Stores Shopping Category. An amazing selection of award-winning shape-cutting machines and complementary die designs - Beyond scrapbooking, Sizzix products offer a wide range of design options for creative projects from scrapbooking, cardmaking, rubberstamping and other forms of papercrafting to home decor, fashion and more. Scrapbook MAX! is a fun and easy way to create great looking digital scrapbooks on your computer. Combine photos, embellishments, journal text, speech bubbles, music and more. Ready-to-use scrapbook themes and layouts help you get started. It even includes photo retouching tools like red-eye reduction, torn edges and shadows. Print your scrapbooks in high-res color, or publish to video CD, slideshows, screensavers, web and more, this easy-to-use scrapbooking software makes it fun! A comprehensive range of Sewing machines, Quilting machines, Embroidery machines, Knitting machines, Dress forms, Fabrics and Designs for the home or industrial sewing. Scrapbook supplies, pages, kits, stickers, organizers, quotes and sayings, layouts, die cuts, paper and heaps more. Design custom t-shirts or buy cool shirts. You can individually design an assortment of products, T-Shirts, jackets, accessories etc. or choose from their design gallery. Easy and ready to use Replica Wax Seals. Peel and Stick Waxent Wax Seals, Brass Stamps and other Wax Seal products. Self-adhering Replica Wax Seals. All else failed? Let us help. If you want to see more Craft Stores here, please e-mail craft@shopsafe.cc. Please do not change the subject line of your email. If the subject line does not contain "Add to ShopSafe Online Shopping" it will not be read.